The fruit bursts through immediately in this beautifully crafted wine in an amazing fashion. 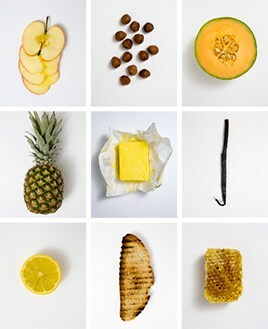 It has real concentration and intensity without the slightest hint of over-ripeness. The Wine Advocate - The 2009 Meursault is a graceful, effortless wine that wafts from the glass with considerable character and sheer appeal. It captures plenty of villages personality in an approachable, feminine style loaded with class. Clean, mineral notes frame the slightly fleeting finish. 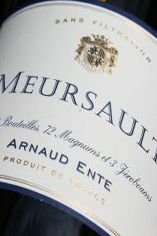 The Meursault is made from parcels in En lOrmeau and Casse Tete. Anticipated maturity: 2012+. Domaine Arnaud Ente is one of the hottest wine properties in Mersault today and arguably Burgundy's brightest rising star. Stylistically Arnaud's wines lie somewhere between the rich, generous, hedonistic style of Dominique Lafon and the linear, precise, mineral, citrus character of Coche Dury. Arnaud's family is originally from the north of France. 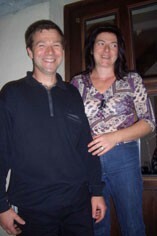 His father married the daughter of Puligny vigneron Camille David and Arnaud was born in 1966. The vineyards from this connection are currently being exploited by Arnaud’s brother Benoit (and by an aunt who sells in bulk to negociants). While working at the legendary Coche Dury, Arnaud married Marie-Odile Thévenot in 1991 and the following year started work in Meursault, farming vineyards rented from his father-in-law, vigneron Phillipe Thévenot. During the 1990s Arnaud's wines attracted a lot of attention for their opulent style, due to his preference to pick late for maximum ripeness. Since 2000 the wines have displayed a more complex, naturally acidic style with enhanced minerality, which reflects the move to a programme of earlier picking. His wines are now amongst the very finest in the village. Arnaud's aim is to do the best possible job from the vineyards he has available to him. He currently exploits 4 hectares with a total workforce of four people: himself, his wife Marie-Odile and two employees. Few, if any, other domaines have as high a ratio of man hours per hectare. Arnaud is every bit as meticulous in the cellar as in the vineyard. The grapes are sometimes crushed before pressing in a hydraulic press, before the juice is settled and then put into barrel. Large 600 litre barrels are used for his Aligoté, Bourgogne Blanc and some of his regular Meursault cuvée. The rest is vinified and matured in normal barrels for the first year, without much emphasis on new oak. With the thoughtfulness for which Arnaud is known, the percentage of new wood barrels used for his top wines has dropped from 35% to 20% and a variety of different barrel types are now used to increase the complexity of the final wines. The white grapes are usually crushed, though not always, before pressing. The must is left to settle for 24 hours then the clear juice and fine lees are put in barrel for 11 months ageing before being racked into tank for a further six months maturation. They are bottled without fining or filtration. As well as the wines listed below there are interesting cuvees of Aligoté and red Bourgogne Grande Ordinaire (gamay) both from vines planted in 1938, and Bourgogne Blanc.